Size: 305cm x 76cm Water capacity (80%): 3638 litres Includes 330 gal. filter pump Easy set.. Size: 366cm x 76cm Water capacity (80%): 5377 litres Includes 330 gal. filter pump Easy set.. 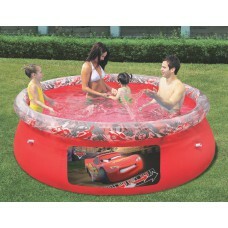 Size: 457cm x 91cm Water capacity (80%): 10179 litres Includes 530 gal. filter pump Easy se..